Ukulele master Brian Vasquez can play anything from Hawaiian music, Ki ho alu (slack key) to Oldies, Rock and Roll to Raggae. All on his little 4 stringed thing! Throw in some Hawaiian Hula, lots of personality, smiles and hugs and you have Ambassadors of Aloha! 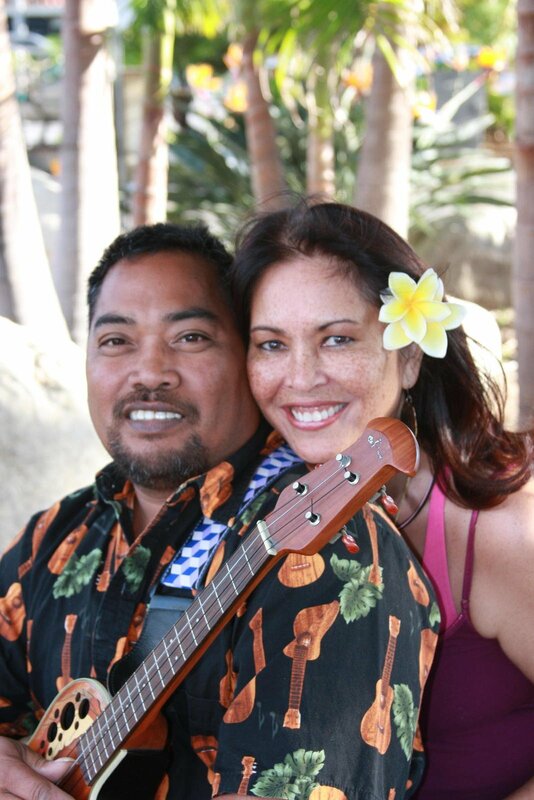 Brian and Rowena, both married (to one another) call the Big Island (Hawai'i Island) home, although they seem to be working on cruise ships (6 years now) for a majority of the year where they entertain, lecture and teach! Either way, they both love people, their culture and spreading Aloha!